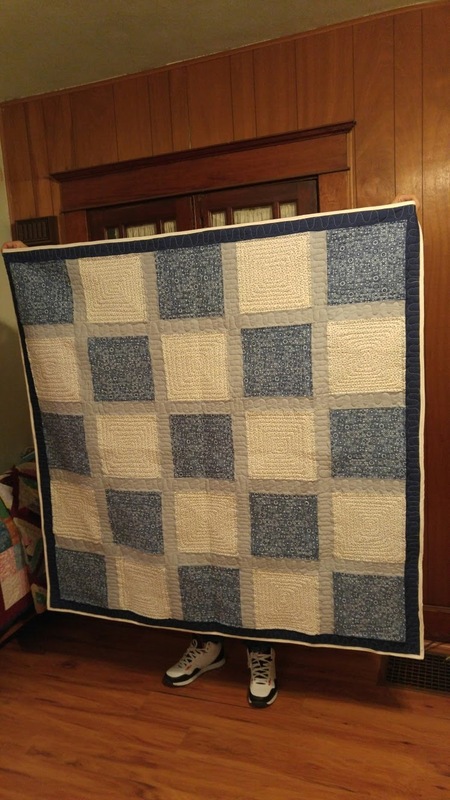 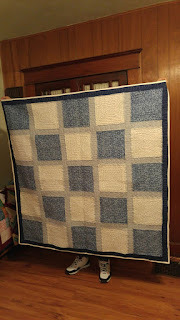 Hubby was kind enough to be my quilt holder for the pics. 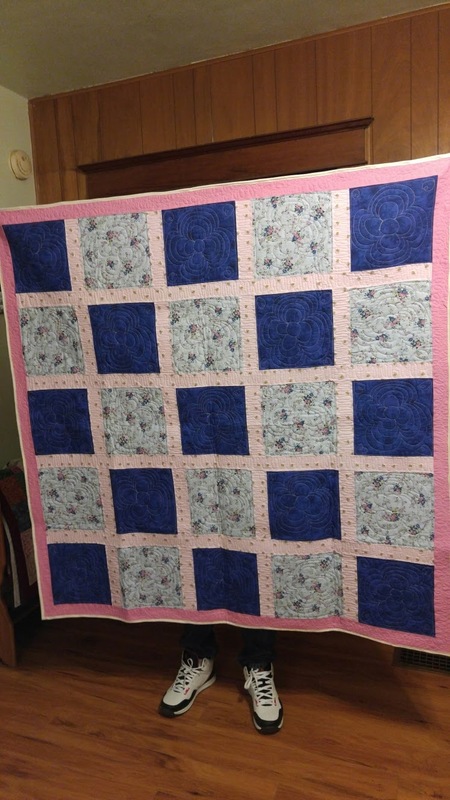 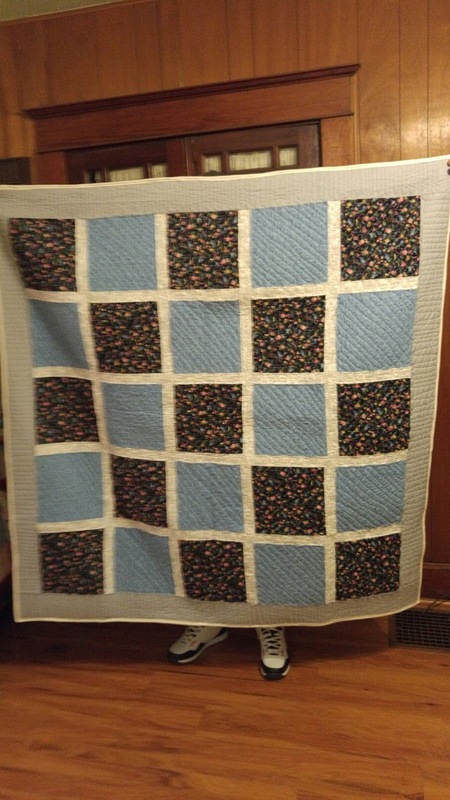 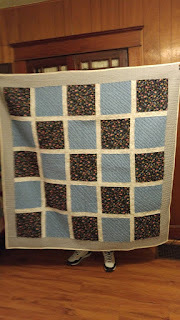 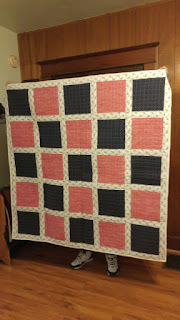 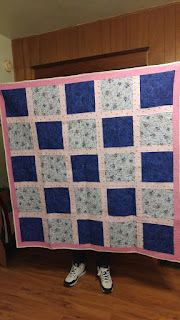 I have one more top to quilt for a person in assisted living, but it can wait a few days. 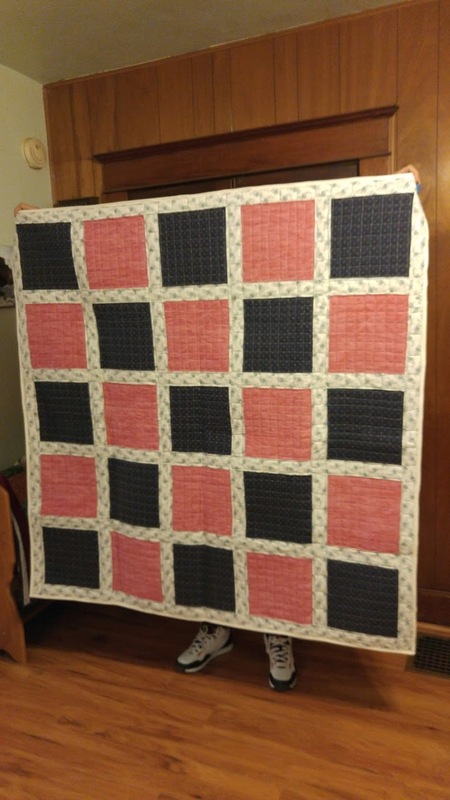 The others had to be done before Sunday.